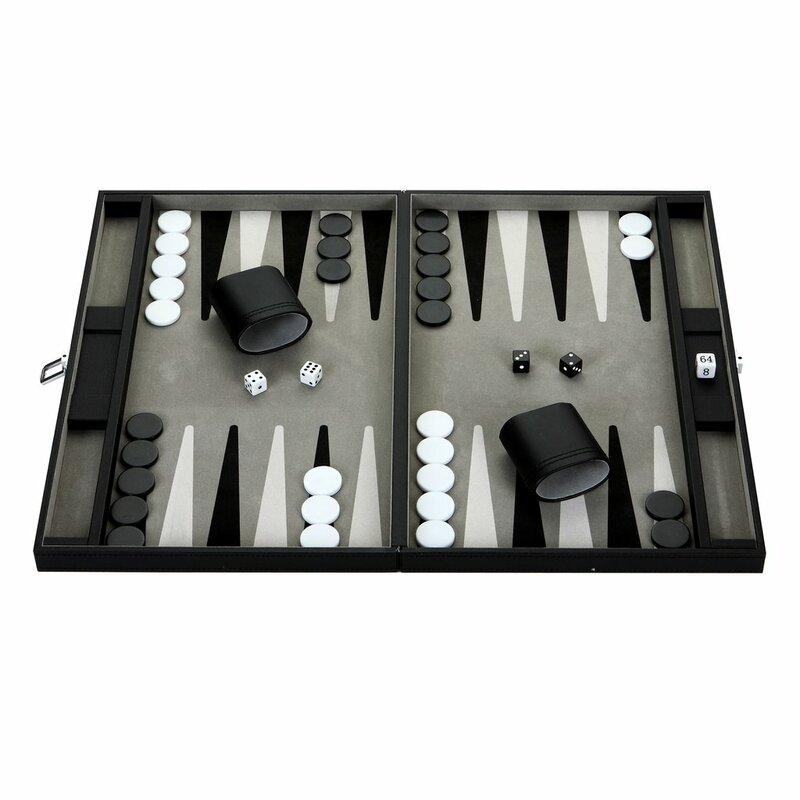 This Premium Backgammon Set offers all the features found in high-end professional game sets at an affordable price. The ultra-smooth, suede-lined playing surface allows the checkers to glide effortlessly across the surface while maintaining the perfect amount of friction to ensure checkers remain in place if the board is bumped or moved. 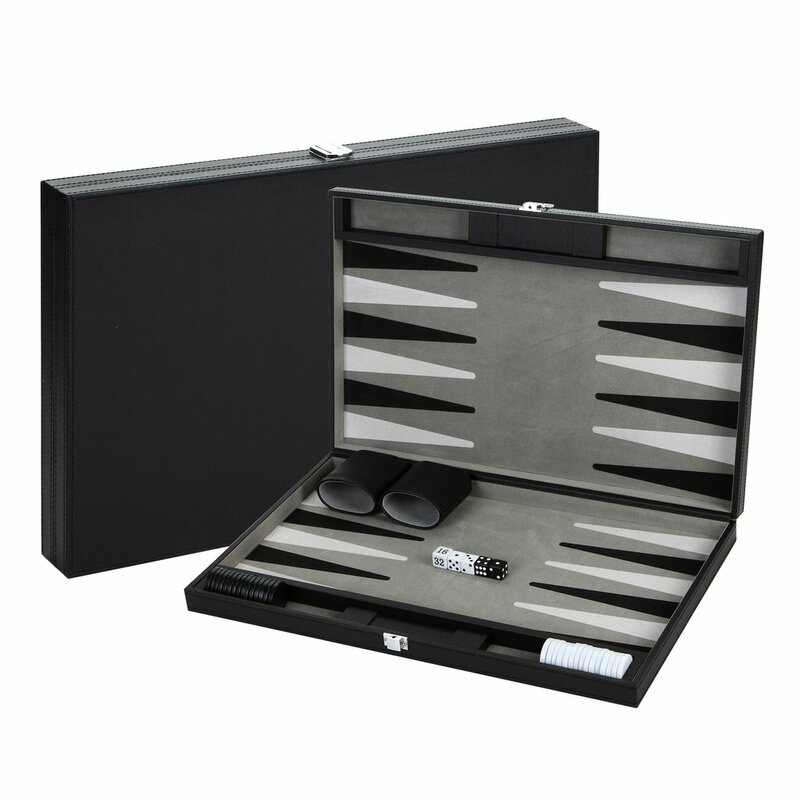 Each set comes equipped with an attaché-style, handsome, Black faux leather storage case with reinforced handle and nickel plated clasp for easy close-and-go portability. 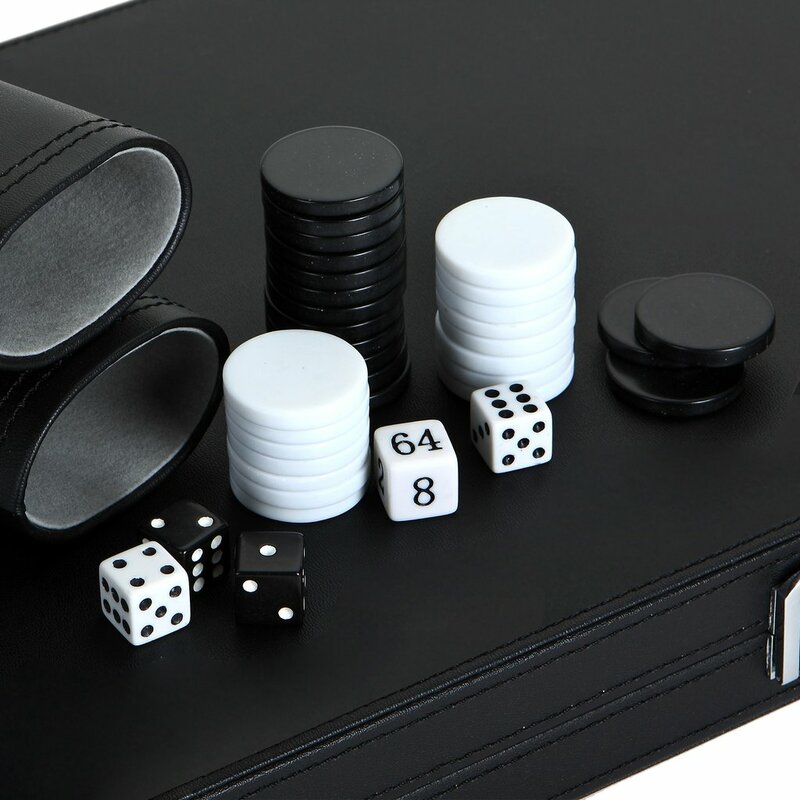 This premium game comes with two leatherette-stitched dice cups with soft interior felt lining, ergonomically designed to fit your hand perfectly. 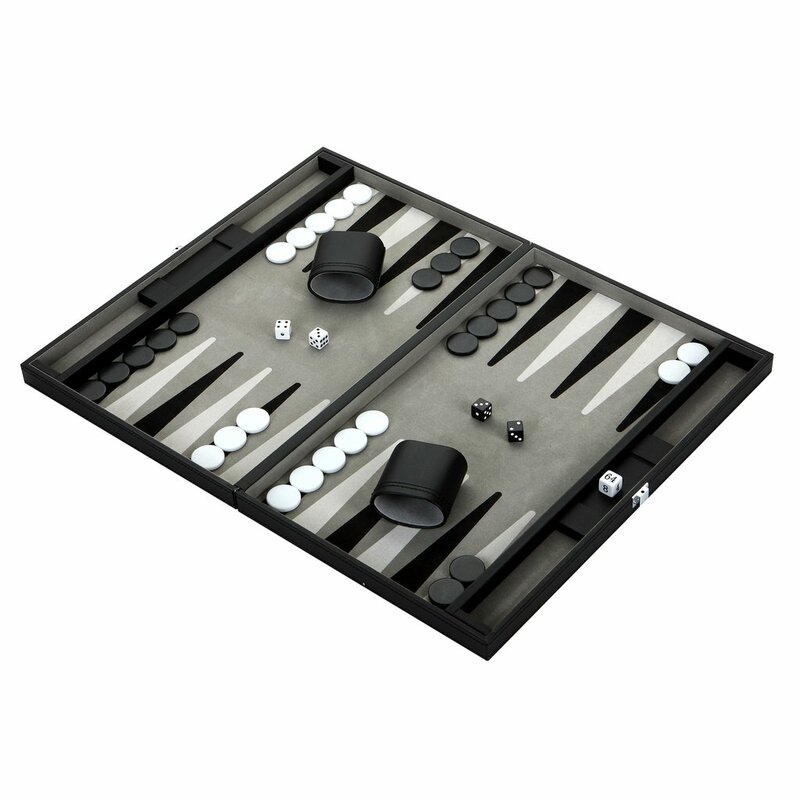 Includes thirty 1.25-in diameter backgammon playing pieces, two pair of dice, a doubling cube and game rules. Let the games begin! 90-day limited warranty.